This spectacular fused glass pendant has beautiful layers of dichroic glass in greens and blues, with a splash of coppery red. It was created by Robin Houck, one of my favorite glass artists. 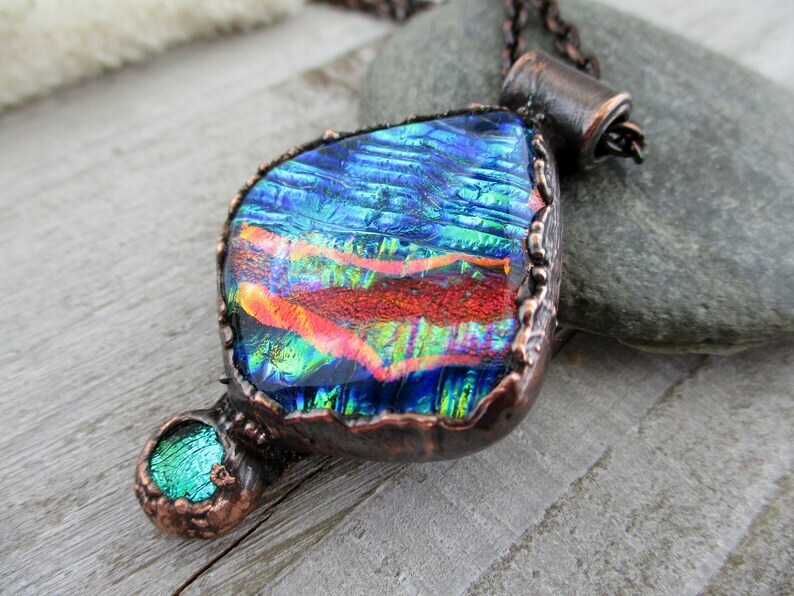 I have accented it with a smaller blue/green dichroic cab, and crafted the pendant of electroformed copper. You can choose a copper ball chain or copper cable chain - in the length of your choice - see the 7th picture for the two chains.